It was Tuesday, 21st November, 2017 and all the children arrived in school at 8.50. Something was different.....all the lights were off. 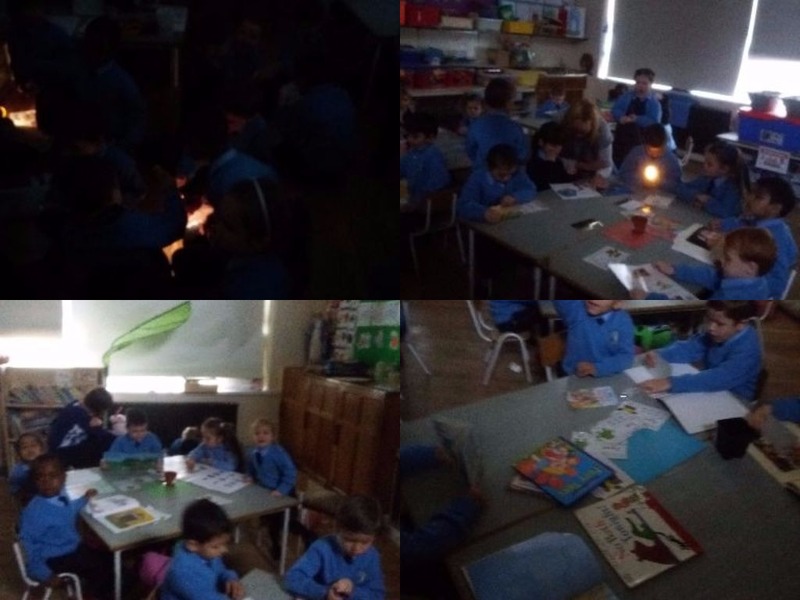 Children were asking lots of questions..."why is it so dark? ", another child spoke out "I can't see". I explained to the children that today we were having a 'low energy day'. We were going to use natural light as electricity costs money. I opened the blinds and children realised that the sun provides us with lots of light. 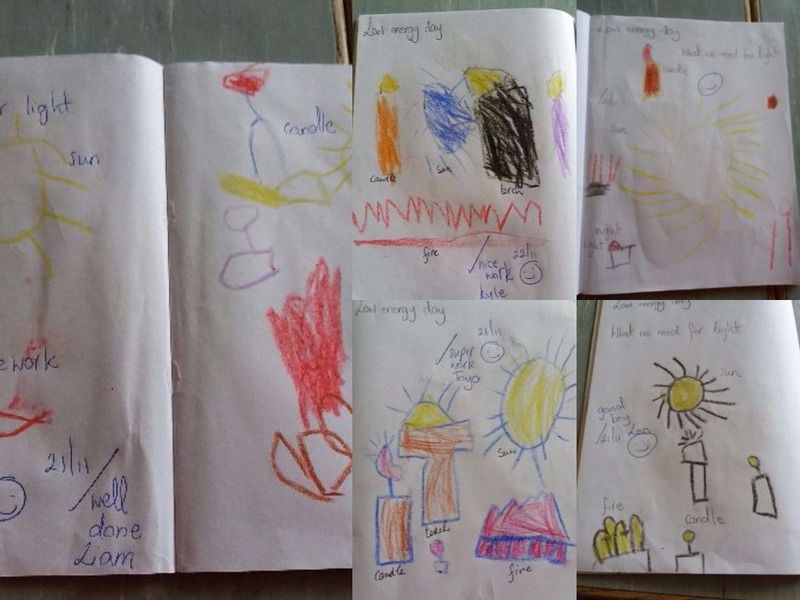 We brainstormed and came up with lots of alternatives that provide light and cost less money. We also decided not to use any electricity that day....no computer, no whiteboard, no CD player....there was panic around the classroom!!!! 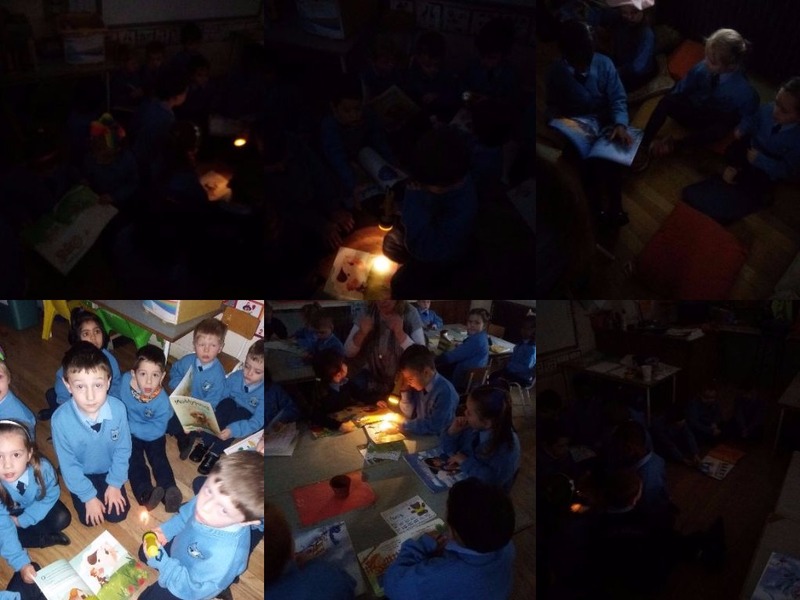 Here are some pictures of us reading in the dark....we used torches! We recorded our results on paper.....sources of light!